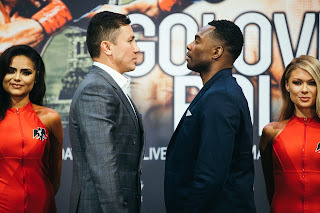 A rising star in the sport of Boxing and really all combat sports will face similar obstacles along their way to achieving superstar status in the eyes of both fans and experts alike. As a fighter rises through the ranks more often than not they will face opponents that range from fighters that are simply over matched to those that are considered in their own right to be rising prospects, and finally fighters who are considered legit contenders, who may have either challenged for a world championship or have held a world title at one point in their careers. In the case of undefeated two-division world champion Terence Crawford he has faced all of the above. Crawford has thus far defeated every opponent that has been placed before him as he has won all twenty-six of his professional fights and has also won world championships in both the Lightweight and Jr. Welterweight divisions in his career. In his last fight in April of this year Crawford moved up in weight to the Jr. Welterweight division and scored a sixth round knockout over top contender Thomas Dulorme to win the vacant WBO Jr. Welterweight world championship. As Crawford’s star has continued to rise he has been tested against stern competition including Ricky Burns, who Crawford defeated for his first world title in March of last year, former Featherweight world champion Yuriorkis Gamboa, and longtime top contender Ray Beltran just to name a few. The next test on Crawford’s road to stardom will come in the form of former world title challenger and top contender Dierry Jean on Saturday night at the Centurylink Center in Crawford’s hometown of Omaha, NE. Stylistically this fight pits two fighters with similar styles against each other. Much like Crawford, Dierry Jean is a fighter who has a good mix of punching power and hand speed as he has scored knockouts in twenty of his twenty-nine career victories. Jean is a two-time North American Boxing Federation (NABF) champion in the Jr. Welterweight division and has only lost one fight in his professional career. Jean’s lone career setback came in his first world championship opportunity against former IBF world champion Lamont Peterson in January of last year. Jean however, has won four straight fights since that loss winning three of those four bouts by knockout. In covering Jean’s fight with Peterson last year, this observer stated although Jean came out of that fight on the losing end of a twelve round unanimous decision, he was not disgraced in the fight and gave a good account himself. The fight in my eyes could best be summed up as simply one highly skilled boxer outworking another highly skilled boxer. Even though Jean was competitive throughout the entire fight with Peterson, Peterson was able to take control particularly in the second half of the fight and it will be interesting to see whether Jean will be more active in his challenge of Terence Crawford’s world championship. One of the things that I feel worked against Jean in his bout with Peterson was Peterson’s ability to use defense and lateral movement to deflect most of Jean’s offense throughout most of the fight. Although both Crawford and Jean have similarities in style, it will be interesting to see if the challenger can nullify Crawford’s offensive output during this fight. Jean has to remember that he is the challenger and perhaps more importantly he is a challenger trying to defeat an undefeated world champion in the champion’s hometown. There have been fighters throughout the history of the sport who have been able to be successful in would be enemy territory. The key for Jean however, in this observer’s eyes will be whether or not he can find a way to stand out convincingly from the champion in order to win rounds. Crawford’s ability to be a consistent combination puncher as well as an accurate counter puncher is something that should not be overlooked and if several of the rounds in this fight are close it will be interesting to see how the judges will score rounds where neither fighter is able to stand out clearly from the other. Although there is always the possibility that a fight can end with one punch, this observer believes it is more likely that this will be a highly competitive tactical Boxing match and it may come down to who is able to land the cleaner more effective punches and/or who is able to dictate how the fight is fought. There is also a possibility especially given Crawford’s rising star status in the sport that he might feel some pressure in wanting to look impressive not only for what will be a pro-Crawford hometown crowd, but also wanting to make the best case possible for himself for potential lucrative fights that might be in his future. It will be interesting to see if either will influence how the champion will approach this fight. Both fighters have hand speed and punching power. Each has demonstrated throughout their careers an ability to not only hurt their opposition, but get an opponent out of there should the opportunity arise. A storyline of an undefeated two-division world champion on the verge of stardom in the sport going against a once defeated top contender, who is getting his second opportunity at a world championship. On paper, it has the makings of a hell of a fight. Crawford vs. Jean takes place Saturday, October 24th at the Centurylink Center in Omaha, NE. The fight will be televised in the United States by HBO Sports at 9:30 p.m. ET/PT. In the United Kingdom and Ireland the fight will be televised by BoxNation. Check local listings.